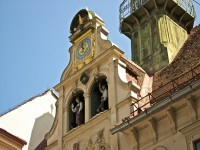 The historic old town of Graz is a world heritage site. 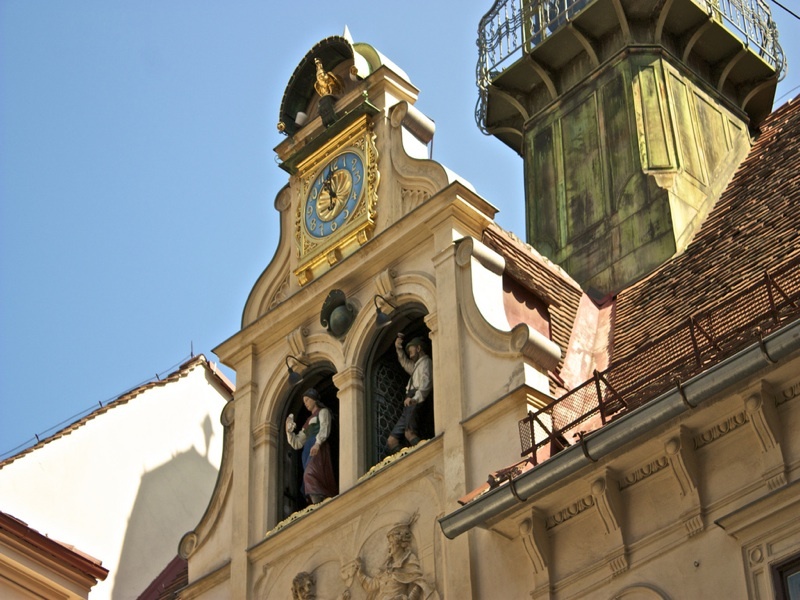 When you are in Graz you must see the Glockenspiel which becomes so lively with the song and rotating dance figures. Don’t go any earlier or later. It starts performing every day at exactly 11 am, 3 pm and 6pm only. If you want to see a mannerist-Baroque Mausoleum, go for the one of Emperor Ferdinand II. Of particular interest is the interiors decorated by Styrian artist Johann Bernhard Fischer von Erlach. See how its elliptical dome looks like as it is one of the oldest of its kind outside Italy. Very near to the Mausoleum is the must see Cathedral of Graz. Everyone praised its exceptional exterior fresco, the Gottesplagenbild or picture of plagues, also the oldest painting of all time that shows Graz’s beauty. Eggenberg Castle is a lavishly looking early Baroque architecture. You will be charge about 1 Euro to enter the park surrounding the castle, but if you just say you are intending to take the castle tour, this small fee shall be waived. You are recommended to take the castle tour as it contains very dramatic wall and ceiling paintings that is worth the sight. Within are also elaborately designed ceramic stoves and inlaid wood floors. Getting there is easy by Tram I in the direction of Eggenberg/UKH. 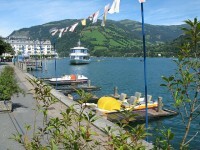 The newest exhibition area is the Kunsthaus across the river from Hauptplatz at the Suedtirolerplatz. You cannot missed the blue bubble. 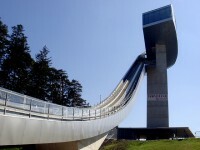 And Murinsel, the artificial island in the river, is built for the Cultural Capital of Europe in 2003 and designed by New York artist Vito Acconci. 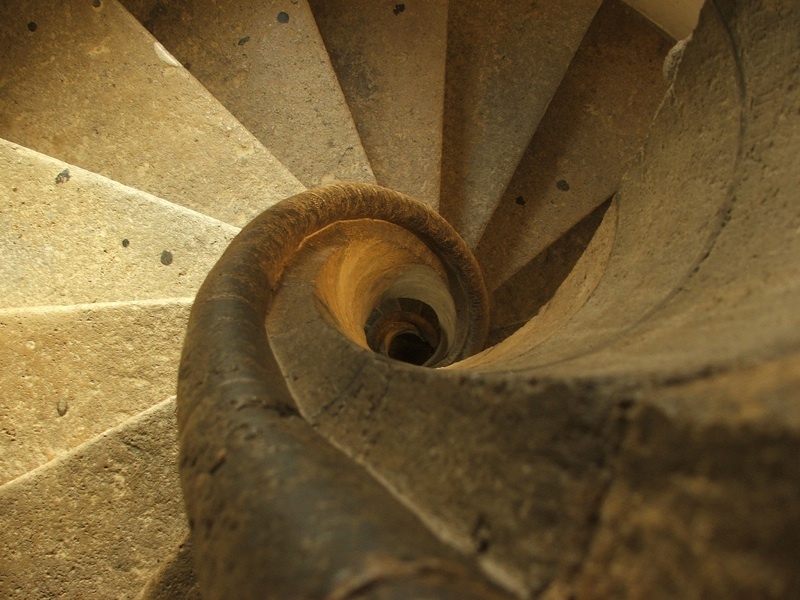 The traces left by the residence of the Habsburgs in Graz is the double spiral staircase that is so special. It is erected in 1438, and since so many centuries, some wings such as the accommodation wing has been destroyed and some wings added. Impressive testimonies of the past can be witnessed if you look closely that is of the Biedermeier period back to the Renaissance and Gothic eras. This famous double-spiral staircase has an enigmatic inscriptions: AEIOU which are the letters written on all things which Emperor Frederick III possessed. There are two particular flights of staircases which runs in opposite directions but join for some steps and separate again and then repeats. This symbol of eternity or “stairs of reconciliation” has great deep meanings about separation and unity.